SAF-T-CURETM NITRILE SURGICAL-TYPE GLOVES (CASE) are a remarkable improvement in hand protection. These 4 mil, soft nitrile (NT) disposable gloves may be used for a wide range of applications in the production or lab area, including as a UV skin block. The unique pressure-reduction quality provides form-fitting comfort at 100% stretch for maximum dexterity and working ease while protecting your hands. For added comfort, NT gloves have a low-modulus property that delivers a cool, soft and dry feel, unmatched by other disposable gloves. These non-handed gloves hold patent #5,014,364. 4 sizes available. Available in powdered and powder-free styles. 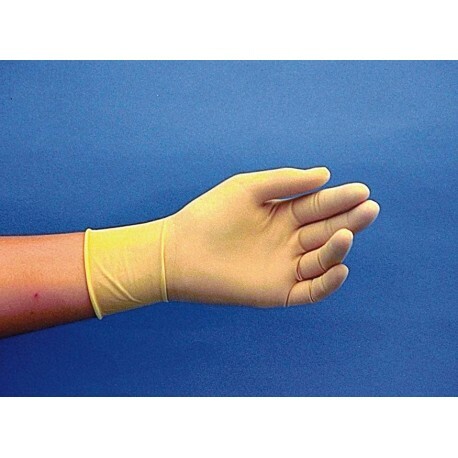 NITRILE POWDER-FREE SURGICAL-TYPE* GLOVES. The same as the NT Surgical-Type* gloves above, but powder-free for those that are allergic or work in particle-free environments. 100/pack, 10 packs/case.